Dita y Dito Van a la Librería is one in a series of books by Maria Gutierrez Serna featuring cute sister and brother piggies, Dita and Dito. We get a giggle out of pigs… so this book is one of our favoritos! In the story, Dita y Dito’s parents take them to a book store for story time. Listening to the story stimulates Dita and Dito’s imagination and results in their parents purchasing the book to read together as a family at home. 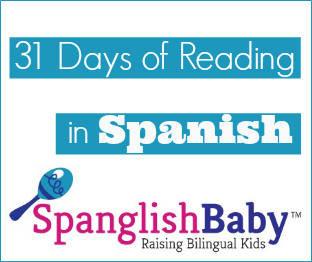 After reading the book to my daughter Sofía, I was also able to open-up conversations about cultural norms; e.g., applauding to say “gracias” at the end of a presentation. 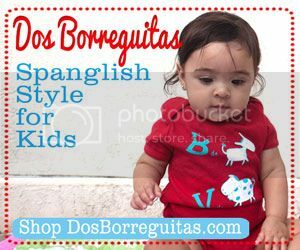 My favorite, however, is when Dita and Dito’s parents purchase the book; it is wrapped in pretty paper just like in many tiendas in Spanish-speaking countries. There are a few other things I like about the Dita y Dito books. The size of the books is perfect for little hands. The pages are thick and as highlighted on the back cover — washable! Each book corresponds with a different day of the week. Dita and Dito go to the librería on a sabádo. 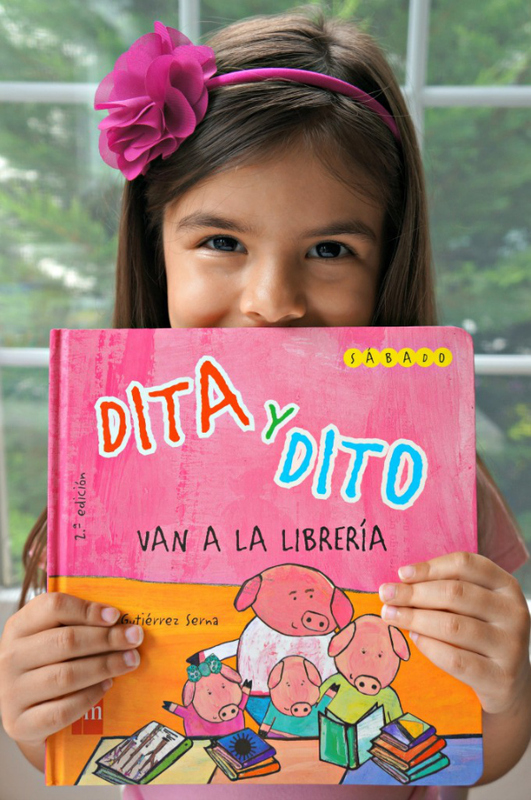 No Spanish-language bookshelf is complete without Dita y Dito! I didn’t know about this books and they look adorable, thank you for the review Elizabeth! 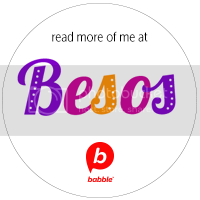 Elizabeth Masturzo-Baldeón is a language education specialist who lives with her familia in the suburbs of Washington D.C. She left her teaching job in an elementary school to work at home raising her daughter Sofía- and she couldn’t be happier! 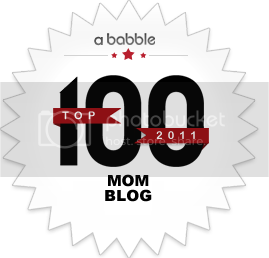 You can read about how her familia makes a conscious effort in their daily lives to bring baby up bilingual at her blog, La Mother Tongue.